Set in Pittsburgh in 1948, Seven Guitars tells the story of the aspirations of a young blues guitarist on the brink of fame and immediate circle of friends. It is a passionate and compelling portrait of their hopes, fears, disappointments, and triumphs. 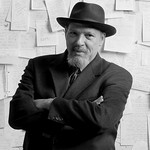 Once again, August Wilson has captured the spirit of a generation of African-Americans, turning their unique experience into a powerful drama of tremendous depth. Tony Award winner Lloyd Richards will direct the newest play by two time Pulitzer Prize winning playwright August Wilson, continuing one of the most fruitful collaborations in contemporary American theatre. Scott Bradley previously designed sets for the Huntington's productions of Prelude to a Kiss (2010), All My Sons (2010), A Midsummer Night’s Dream (1999), Ah! Wilderness (1998), Mary Zimmerman’s Journey to the West (1996), Seven Guitars(1995) (1996 Drama Desk Award, Tony Award nomination), and Joe Turner’s Come and Gone (1986) (Drama Desk Award nomination).